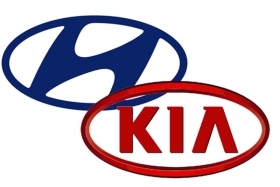 SEOUL -- Hyundai Motor Co. and Kia Motors Corp.'s production has been hit by industrial action by a piston-ring supplier, affecting diesel-engine production in South Korea. Hyundai has halted output of some diesel engines at a plant in Ulsan, the company said in an e-mail Tuesday. Vehicle production has not been affected because the automaker has an inventory of engines, the Seoul-based company said. Kia suspended output of its diesel Carnival minivan as of the night shift on May 20, because of the parts supply disruption, according to an e-mail from the automaker. Workers at Yoosung Enterprise Co. have been on strike since May 18, the Korea Automobile Manufacturers Association, a group representing the country's automakers, said in an e-mailed statement. "We urge the workers' union at Yoosung to stop the factory occupation and return to the assembly lines, considering the impact on South Korea's auto industry and economy," the automakers' group said in the statement. Hyundai, Kia, GM Korea Co., Renault Samsung Motors Co. and Ssangyong Motor Co. will lose 276,000 units worth 4.7 trillion won ($4.3 billion) should the strike run through next month, according to a group statement the automakers released Tuesday. Calls to Yoosung's headquarters in Asan, South Korea were not answered.